Welcome to Hays Travel Northallerton. I started my career in retail as a travel consultant in 1984. In 2004 I was given the opportunity to work for the Foreign and Commonwealth Office as a consular assistant at the British Vice Consulate in Crete, a role that I absolutely loved! Upon relocating back to the UK in 2011, I moved back into the retail side of travel and I became branch manager of Hays Travel Northallerton in 2016. Greece is still my favourite holiday destination, but I enjoy visiting new places too. Leah, my assistant manager, started as an apprentice at Hays Travel in 2006 and is a walking encyclopaedia! She specialises in cruise and long haul and her favourite destinations are Thailand and South Africa. Hannah joined Hays Travel in 2014 as an apprentice and specialises in city breaks and young and lively destinations. Laura joined the team from our Thirsk branch in 2015 and she loves Costa del Sol and Greece. Kate started her travel journey in 2003 and has been working for Hays Travel since 2011 - she's visited many countries and her favourite place in the world is Australia. Laura our 1st year apprentice, joined the team in August 2018 and she loves Turkey and Tunisia. Alison our foreign exchange consultant is a seasoned traveller and her favourite destination is Florida which she visits every year. We specialise in every type of holiday - from long haul to London, cruises to city breaks, snow to sunshine! We have a huge portfolio of loyal customers who entrust us with their holiday year after year. As the UK’s largest independent travel agent, we’re not affiliated with specific tour operators, so we can search the market to find the best deals possible. This year, we have been very proactive in our fundraising efforts in support of Sir Robert Odgen Cancer Centre. 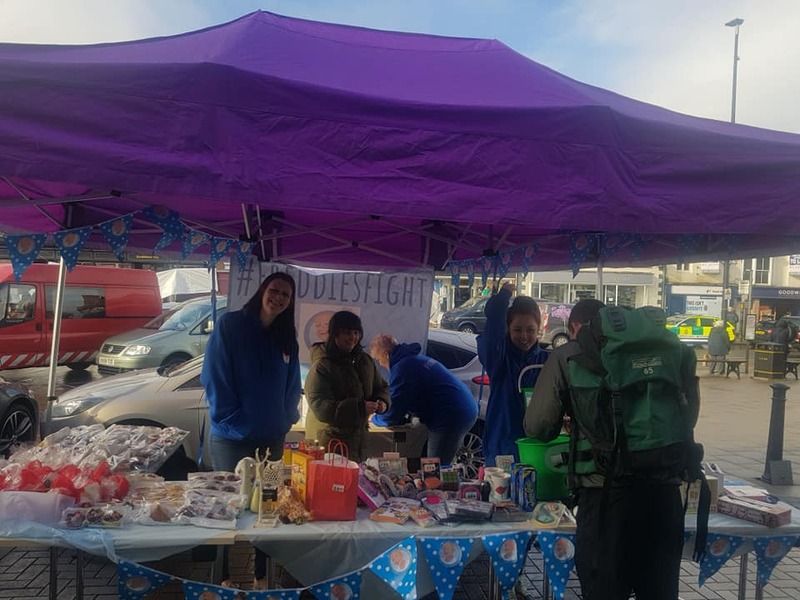 In order to raise money we have conquered three of the Yorkshire Peaks, got involved in the Northallerton Carnival and most recently held a Halloween spectacular cake and raffle stall. At the most recent Hays Travel Foundation meeting we were successful in our match funding proposal. This has resulted in a fantastic £5,518 raised for the centre. We would like to thank everyone for their kind donations and continued support! Whether you’re looking for a Butlins break, a cruise or a faraway adventure, we’ll be happy to help. Plus, the competitive rates on currency in our bureau de change mean we can get you a good deal on your holiday spends too. Come and say hi – we are located on the High Sreet, near the Town Hall.